The industrial protector is a multifunctional device protecting workers in hazardous areas, where dangerous gas mixtures might emerge. Thus the industrial protector qualifies as an indispensable device in areas with a tendency towards unusual gas compositions. 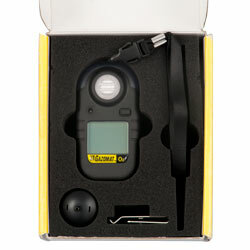 Due to the fact that the industrial protector detects different gasses following the settings made by the operator, it can be customized for any kind of environment. When ordering the industrial protector the gasses, what have to be detect, should be specified prior to that, so the device can be set correctly for those gasses. 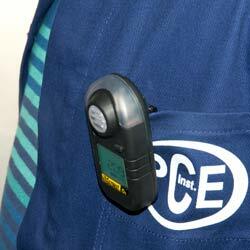 In case the industrial protector detects a threshold being trespassed in any way, it immediately sets off an alarm. 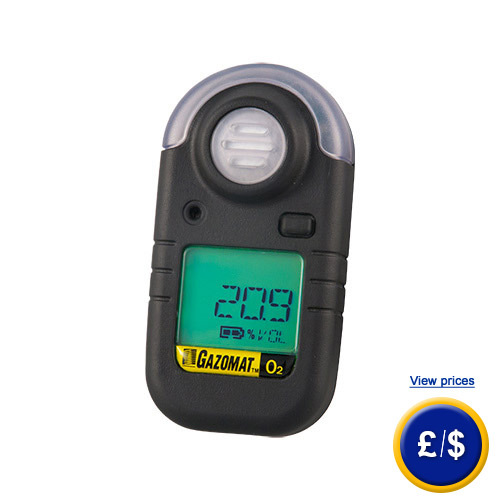 That trespassing is indicated by the industrial protector either as an acoustic signal or a light blinking or even by setting off a vibrating signal. Thus a full proof protection is guaranteed, with which toxic values can be detected at all times in various forms, and their perception can be assured under any kind of unusual conditions. These might be for example extremely loud surroundings, where a solely acoustic signal might be difficult to notice. Due to its low weight and small measurements the industrial protector is not too obstructive to carry along while working and thus allows maintaining a continuous workflow in different types of situations. The well-arranged LC display, featuring background lights, shows not only the current values, it can also display the maximum and minimum values, as well as mean values within a period of 8 to 15 hours, and the battery state. The areas of application are mainly steel factories, chemical industries, various laboratories, gas stocks and the shipping industry. 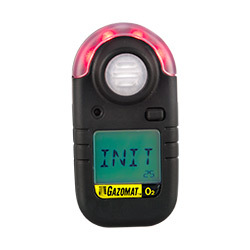 If there are any questions about this industrial protector µGAZTOX , please have a look at the technical specification below or call: UK customers +44(0) 23 809 870 30 / US customers +1-410-387-7703.. Our engineers and technicians will gladly advise you regarding the gas detectors or any other products in terms of regulation and control, or scales and balances of PCE Instruments. 15 % ... 95 % rel. H.
In case of trespassing any thresholds, different kinds of alarms are set off. Here you can see the optical alarm by red LED lights. Due to a crocodile clip the industrial protector can be attached easily and worn flexibly.